Issue tracking systems allow to manage and maintain lists of issues, as needed by an organization and used by customer support departments and software development teams to create, update, and resolve reported customer issues, or even issues reported by that organization's other employees. 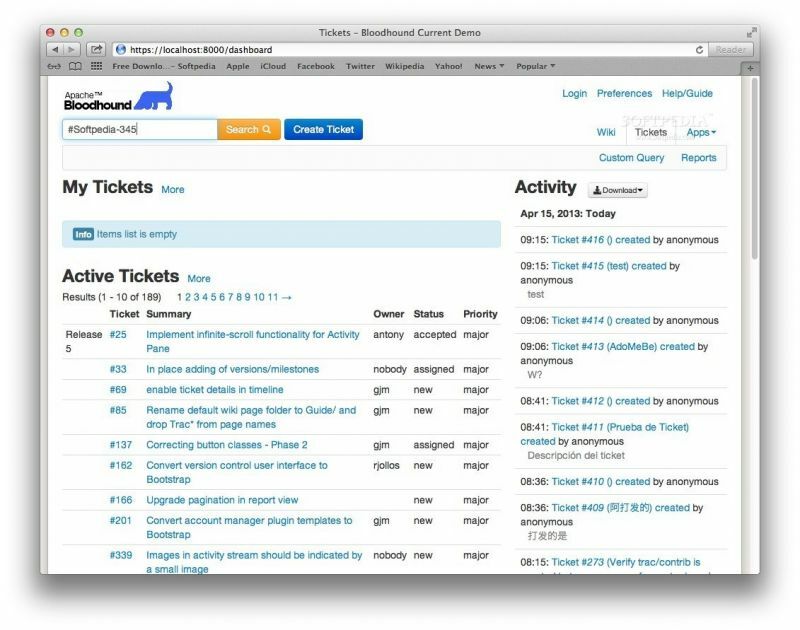 MantisBT is a free popular web-based bugtracking system (feature list). It is written in the PHP scripting language and works with MySQL, MS SQL, and PostgreSQL databases and a webserver. MantisBT has been installed on Windows, Linux, Mac OS, OS/2, and others. 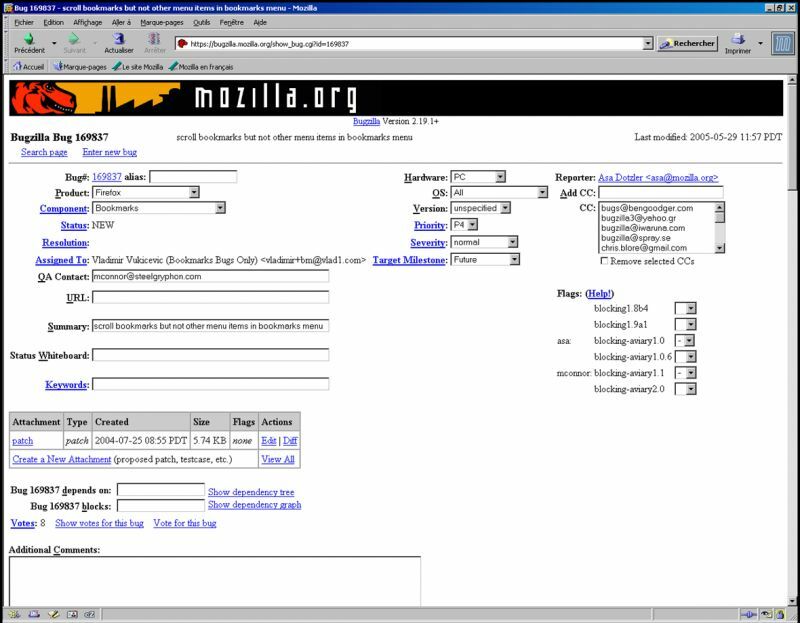 Almost any web browser should be able to function as a client. It is released under the terms of the GNU General Public License (GPL). 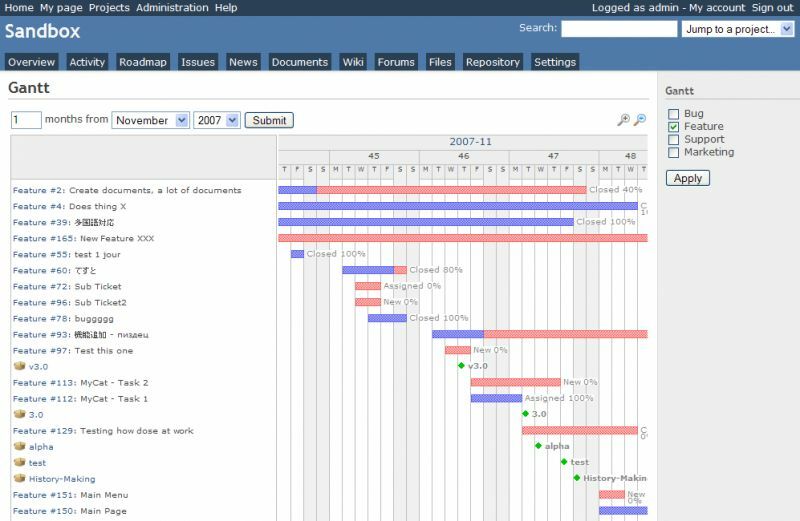 Redmine is a flexible alternative project management web application. Written using the Ruby on Rails framework, it is cross-platform and cross-database. Redmine is open source and released under the terms of the GNU General Public License v2 (GPL). Bugzilla is server software designed to help you manage software development. Bugzilla is a "Defect Tracking System" or "Bug-Tracking System". Defect Tracking Systems allow individual or groups of developers to keep track of outstanding bugs in their product effectively. Most alternative defect-tracking software vendors charge enormous licensing fees. Despite being "free", Bugzilla has many features its expensive counterparts lack. Consequently, Bugzilla has quickly become a favorite of thousands of organizations across the globe. 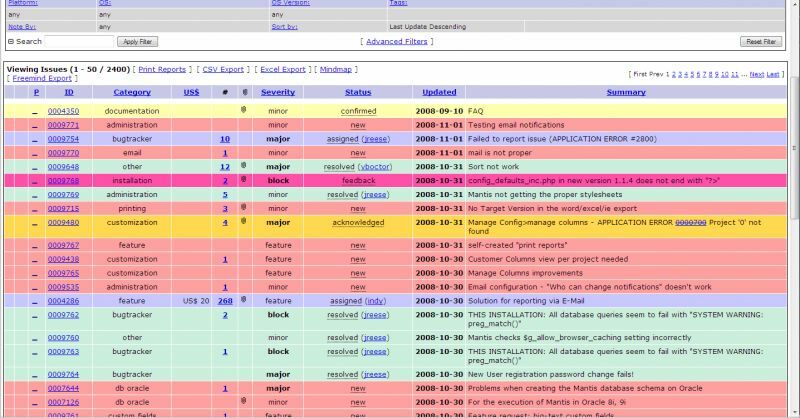 Trac is an alternative wiki and issue tracking system for software development projects. Trac uses a minimalistic approach to web-based software project management. Our mission is to help developers write great software while staying out of the way. Trac should impose as little as possible on a team's established development process and policies. 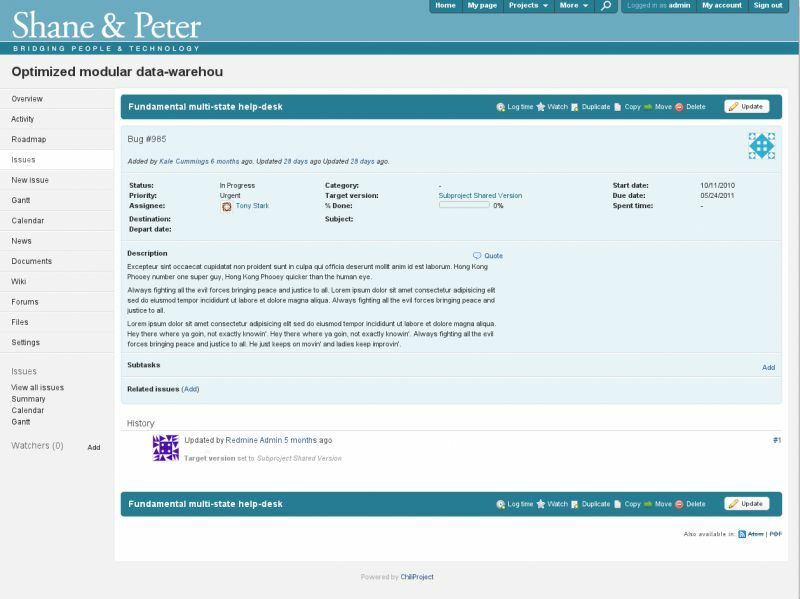 Collaborative, lightweight alternative project management tool, brought to you by the experts in agile software development. Supercharges agile project teams with focused, real time collaboration. Accelerate agile adoption with a simple, proven process. 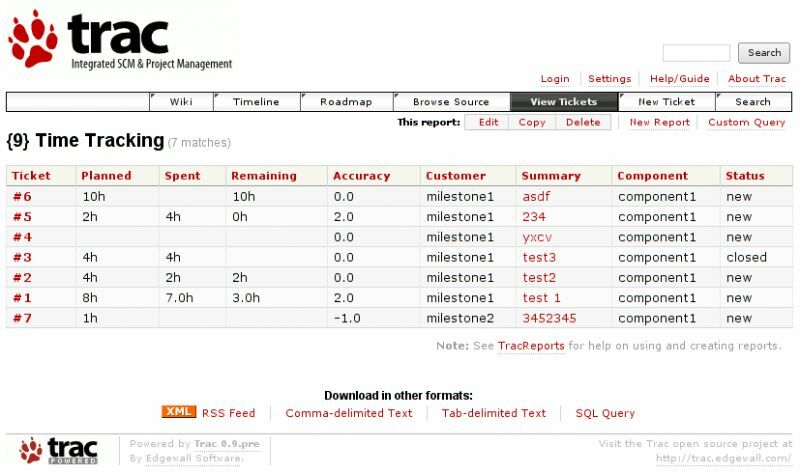 The Agile Issue Tracking and Project Tracking Tool. Clear View. Clear Progress. Clearly Agile. Arm your team with the best visualization of your daily activities, using Scrum, Kanban or both. GitLab offers git repository management, code reviews, issue tracking, activity feeds and wiki’s. Enterprises install GitLab on-premise and connect it with LDAP and Active Directory servers for secure authentication and authorization. A single GitLab server can handle more than 25,000 users but it is also possible to create a high availability setup with a multiple active servers. Full-featured bug tracker. Even with a team of coding superstars, defects are a fact of life. Fortunately, Axosoft's lightning fast interface uses keyboard shortcuts and automated workflows to help you manage issues and enter key information quickly. Axosoft also provides highly customizable field templates that can be configured to collect repro steps, set due dates and recieve attachments, so your team only has to enter essential data. FogBugz is the world's easiest bug tracking system, built for teams who are serious about shipping great software. FogBugz incorporates the lessons Joel Spolsky and the team at Fog Creek have learned over a decade of learning how to write software better. Manage software products. Keep track of features, tasks and bugs. Manage anything from your one pet project to dozens of commercial or open source products, and scale seamlessly in-between. The built-in Wiki allows you to make plans, create proposals and store other information. Our bugtracker helps to build a culture for your team to track, fix bugs and ship great products that customers love - real fast. 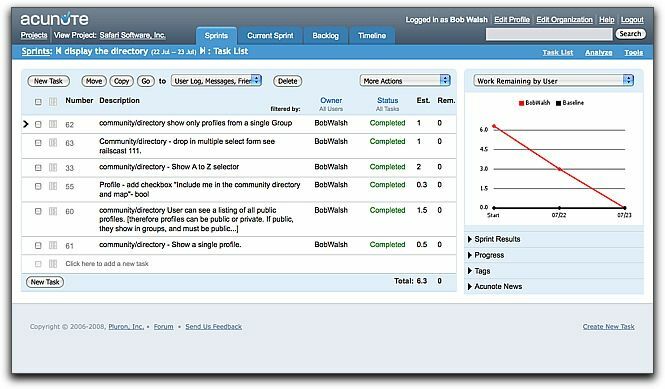 Track the progress of the bugs filed based on status, severity and users and keep the finger on pulse with bug reports. Automate your bugs with business rules, workflows and classify the bugs just the way to fit your project team needs. Custom workflows lets you easily define individual workflows and set your notifications patterns for different projects. Agile Project Management inside GitHub. ZenHub is more than “integrated”: it runs natively in GitHub’s interface. Stop context switching with third-party tools and unite your team where they already work: GitHub. 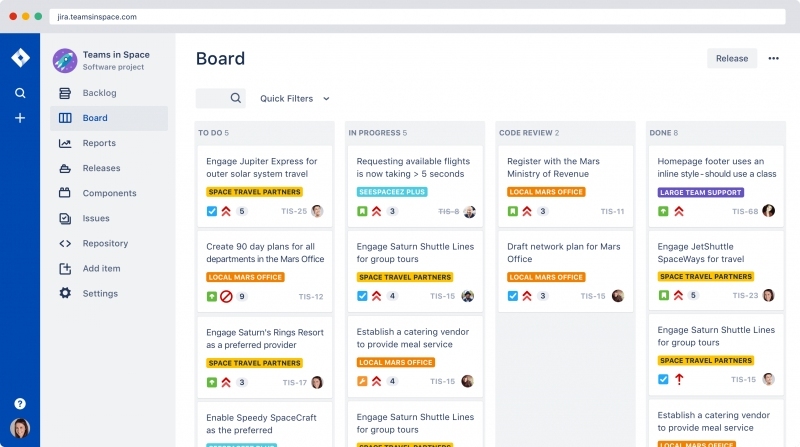 Acunote is an Agile project management tool. It is built on the innovative lightweight Scrum process and is focused on the day-to-day steps needed to achieve the goal. Collaboration, project management and code hosting for free software. 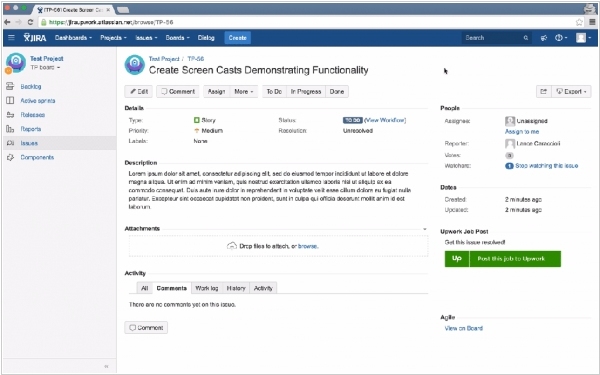 Atlassian unveiled the next generation of its hosted Jira Software project tracking tool earlier this year. With this launch, Atlassian is now essentially splitting the hosted version of Jira (which is hosted on AWS) from the self-hosted server version and prioritizing different features for both. 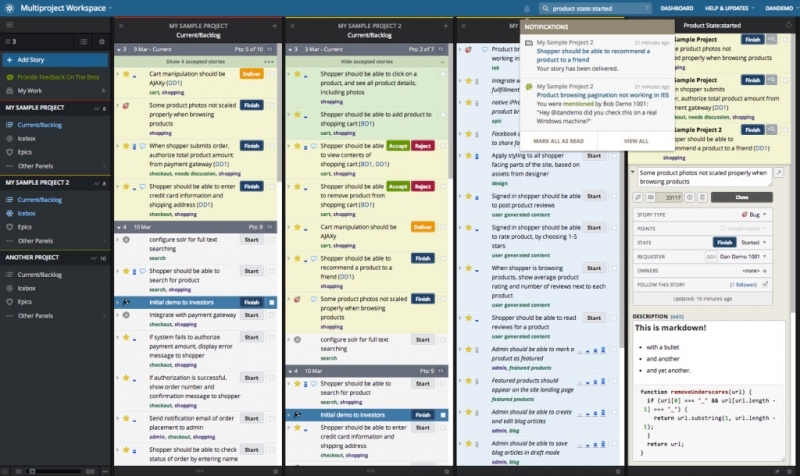 The new version of Jira has a new, Trello-inspired look and provides new functionality that allows for a more flexible workflow that’s less dependent on admins and gives more autonomy to teams. One feature the team seems to be especially proud of is roadmaps. 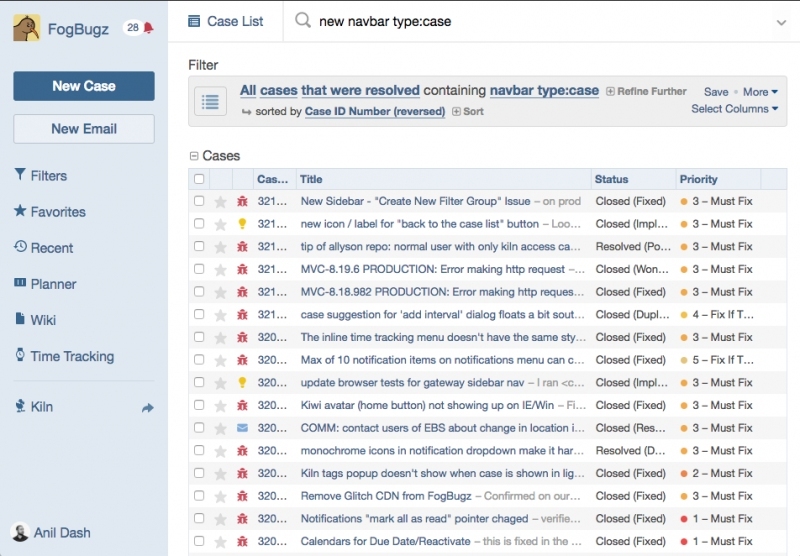 That’s a new feature in Jira that makes it easier for teams to see the big picture. Like with boards, it’s easy enough to change the roadmap by just dragging the different larger chunks of work (or “epics,” in Agile parlance) to a new date. Project management service JIRA is getting a new feature that will let you easily convert JIRA tickets into job postings on Upwork freelance marketplace. With this new integration, Jira users can now click a button and get a pre-populated form to submit to Upwork’s marketplace. This feature will likely appeal to small businesses that often have a backlog of feature requests and bug fixes they never get to. This is not the first time Atlassian and Upwork have partnered around JIRA. Upwork clients can already link their JIRA tickets to an Upwork account to allow freelancers to track their time, for example. Clients can also use Upwork’s messaging feature to receive updates when a freelancer checks in code to Bitbucket, for example, or update a JIRA ticket. 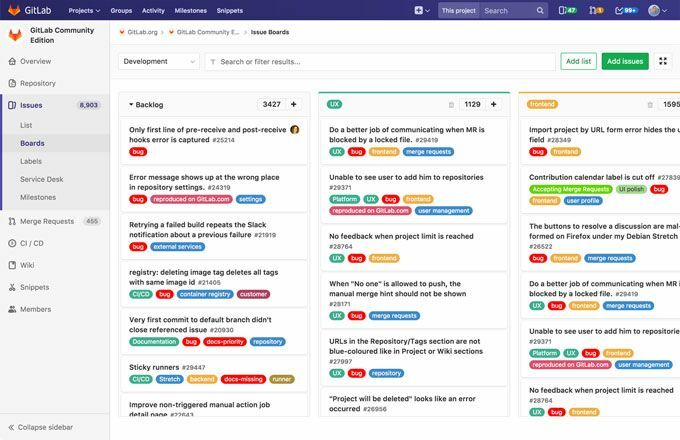 ZenHub, a service that helps engineering teams manage their GitHub projects through Trello-like drag-and-drop task boards, was previously only available for regular GitHub accounts. Starting now, however, enterprise users who use the on-premise GitHub Enterprise service, will also be able to use ZenHub. This new enterprise version of ZenHub is one of the first collaboration and project management service that integrates directly with GitHub Enterprise. 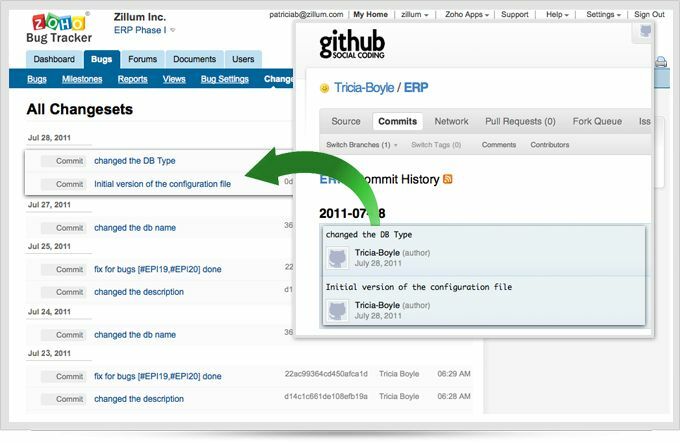 GitHub — and Git in general — is seeing rapid adoption in the enterprise. 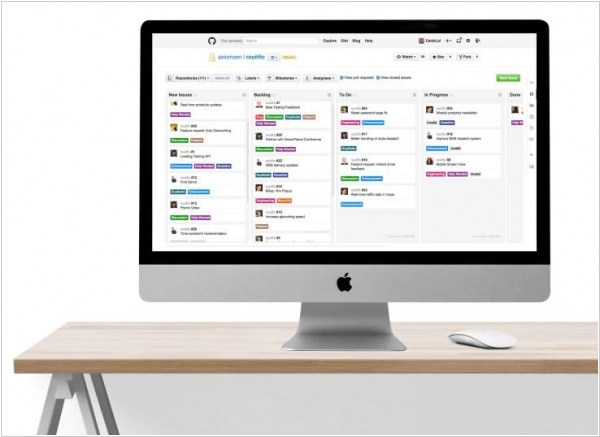 There are now a number of services on the market, including startups like waffle.io (which also works with GitHub Enterprise) and some of Microsoft’s and Atlassian’s tools, that offer project management services for Git. What makes ZenHub stands out is its direct integration with GitHub Enterprise, so that developers don’t have to switch back and forth between even more different tools than they already do. Zoho BugTracker added two great improvements. First is Kanban View. It's a representation of your bugs as cards placed in different columns. Each column represents a bug status, such as Open, In progress, and To be tested. A simple drag and drop allows bugs to be moved from one column to another, provided the workflow you have defined, permits such a move. Besides, the services now provides a free subscription plan for small teams that includes 1 Project, 10 MB Storage Space, Project Feeds, Issue Tracking, Forums and Documents, CSV import and user management. Moreover, Zoho BugTracker is now included in the free version of project management app Zoho Projects. Axosoft looks like a team of talented and creative guys. Yesterday they impressed many IT bloggers with the news about setting price $1/year for their Axosoft Bug Tracker. Good stuff. Still on the market were only paid and free bug- trackers, now there is one that costs $ 1/year. Ok, maybe you don't need a good bug tracker for a buck, but you really need to create such video for the company, like Axosoft did. Why? To make potential customers love your company even before they bought something from you. To attract talented people so that they want to work for you. To make your own employees feel in the office like at home.